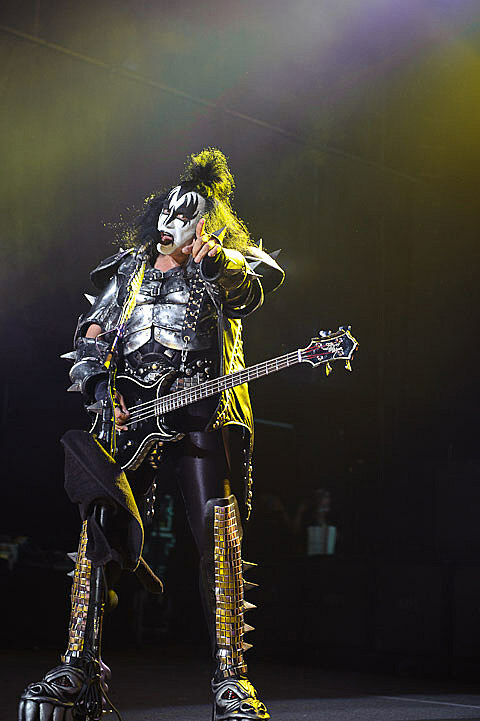 Boston Herald: I’m thinking about the Dr. Pepper commercial that’s everywhere. 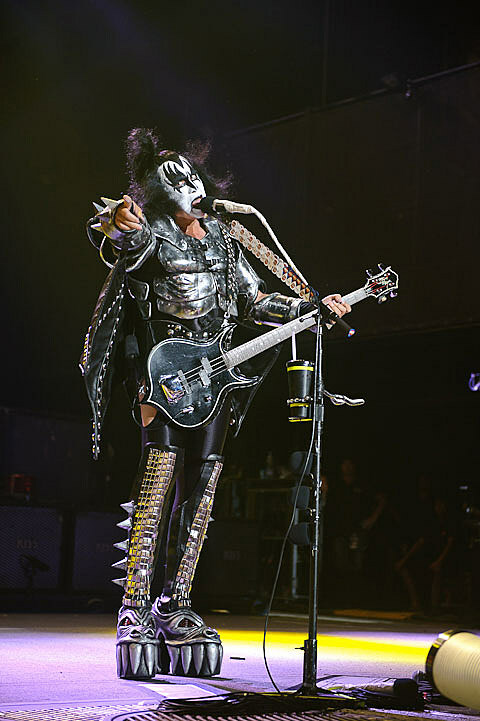 Many bands in the so-called indie community think it’s abhorrent to sell songs to advertisers, what do you say to those bands? 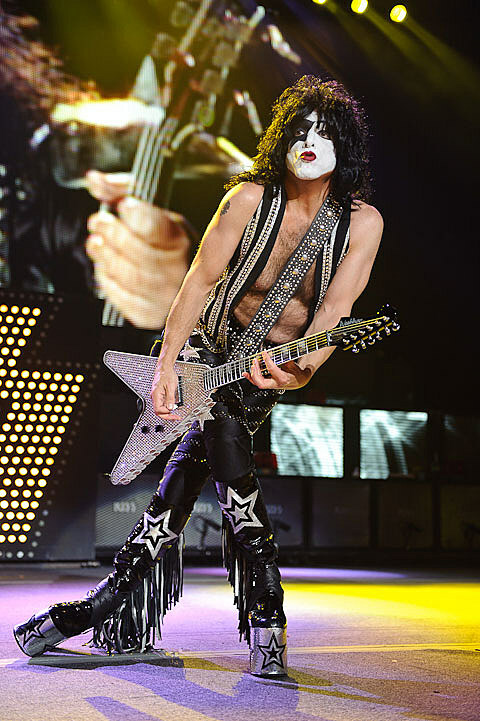 Paul Stanley: Wake up and smell the coffee. 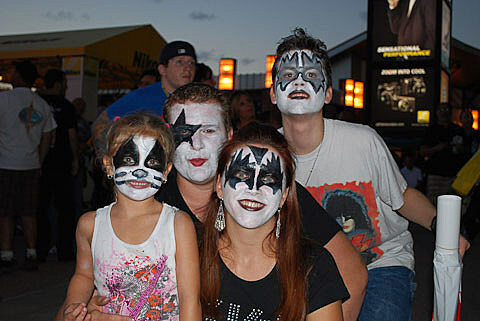 If those indie bands keep that philosophy they’ll be flipping burgers soon enough. 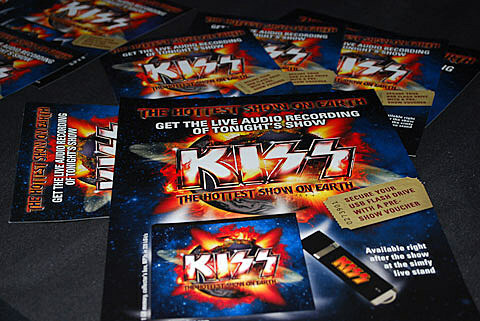 There’s a reason that it’s called the music business. 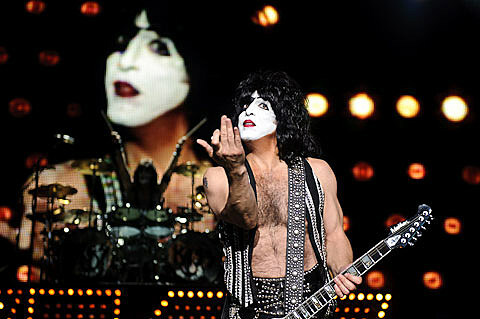 Putting your song in a commercial doesn’t negate your creativity. 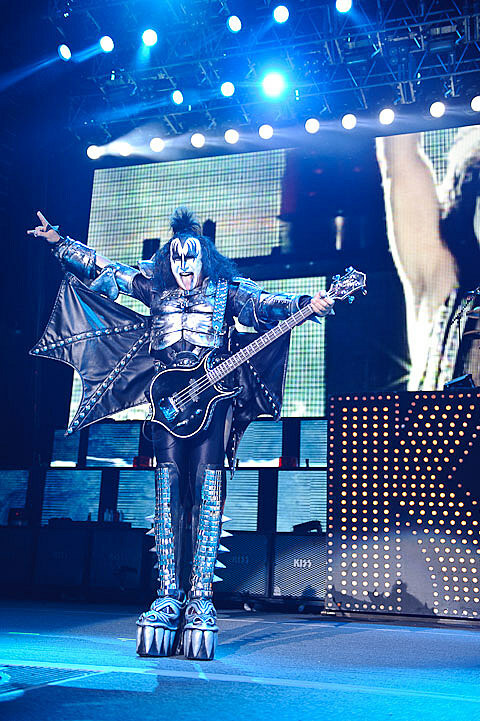 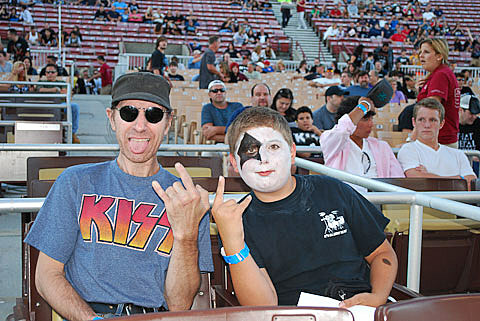 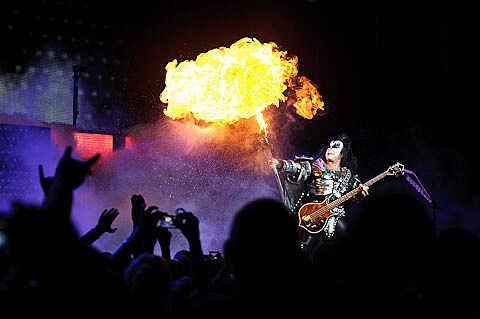 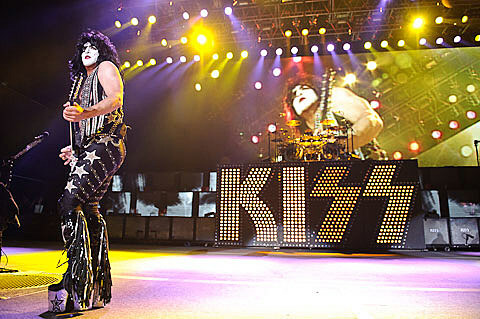 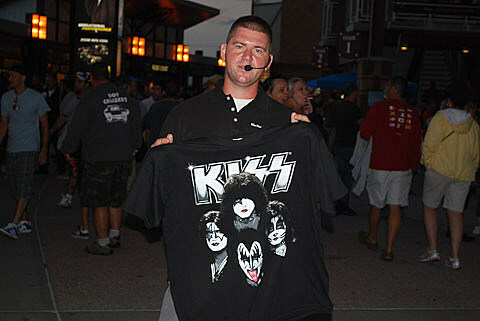 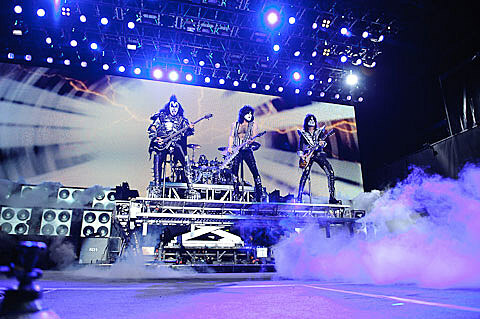 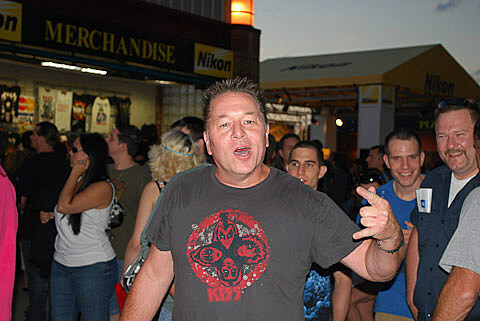 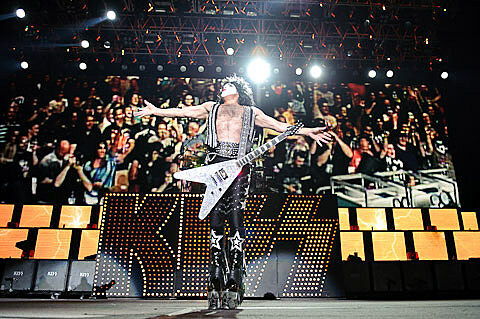 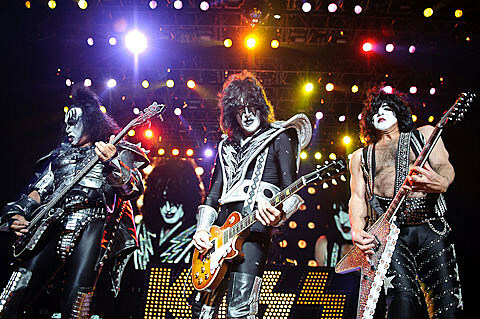 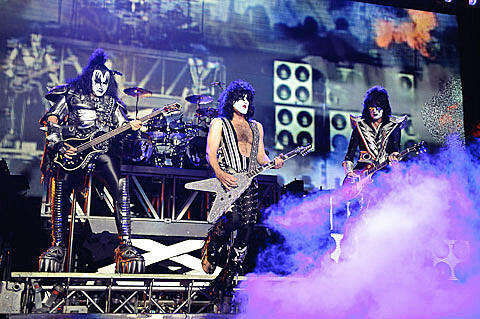 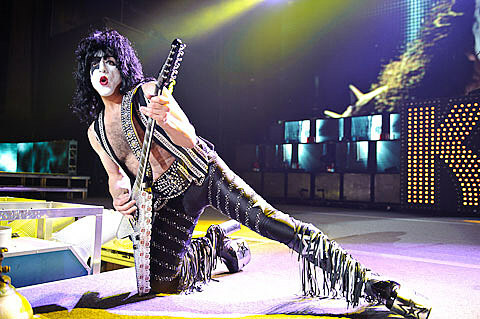 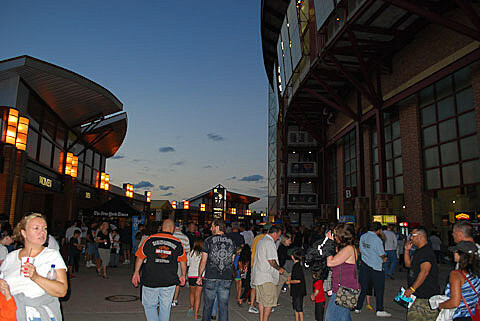 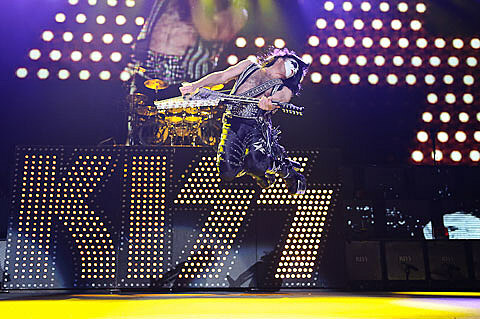 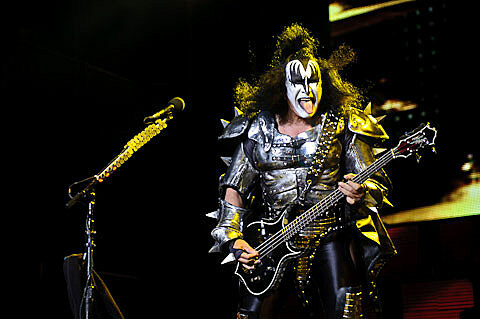 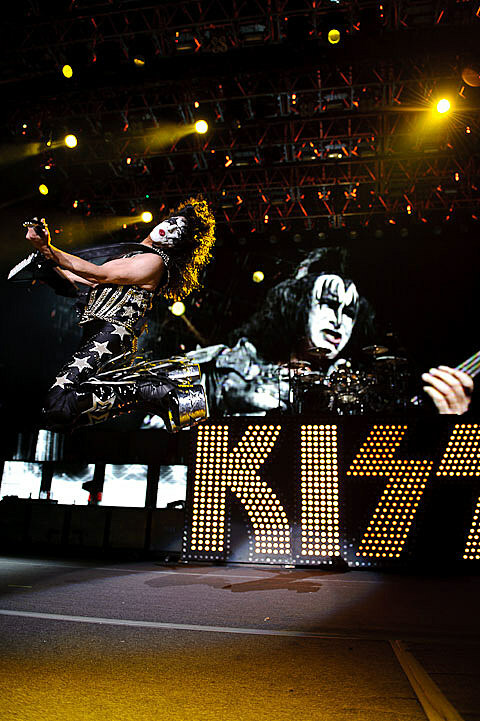 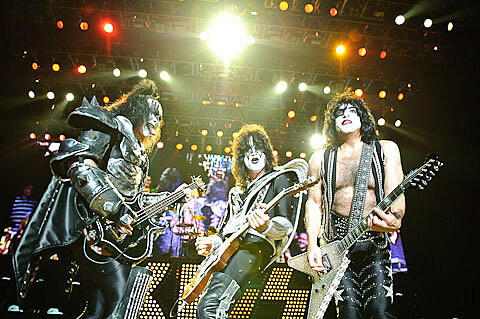 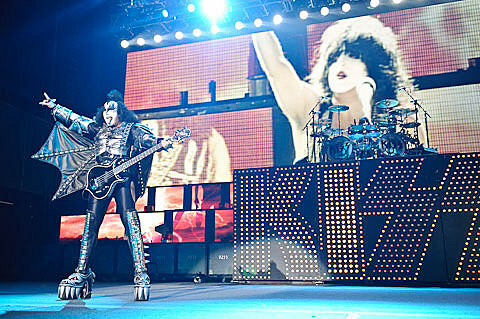 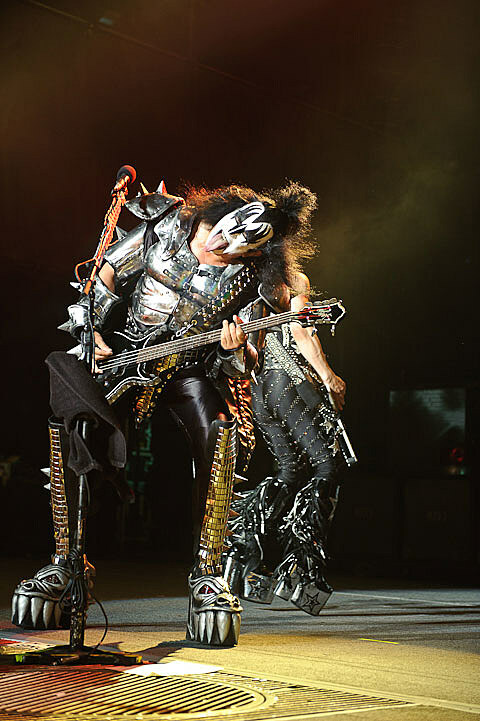 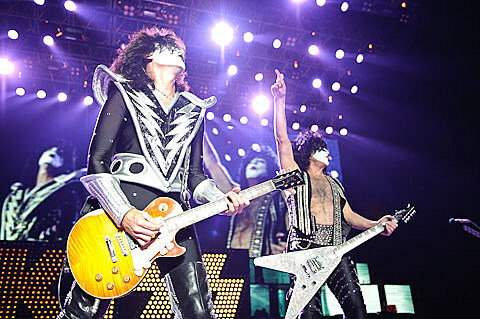 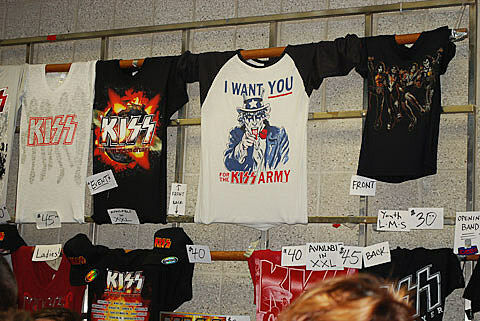 Boston Herald: The concept of selling out is meaningless to KISS, right? 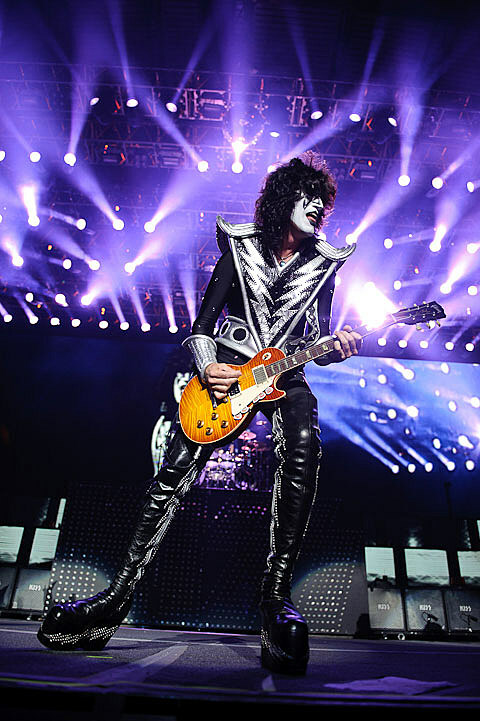 Paul Stanley: Success isn’t selling out. 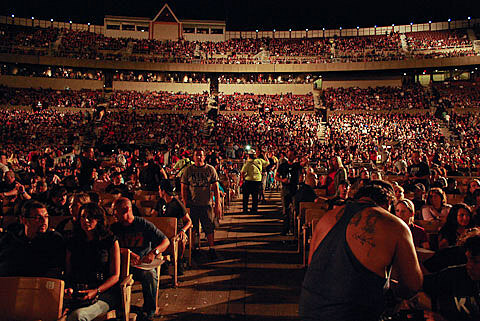 We’ve never had to sell out because we’ve always done things on our terms. 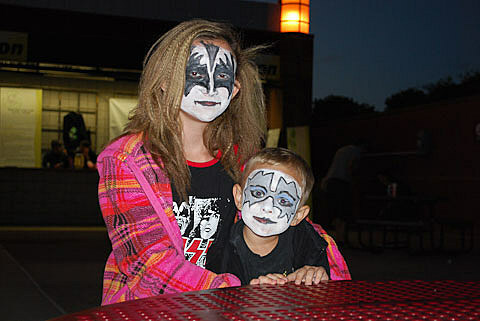 I didn’t get into this to have a fan base of 100. 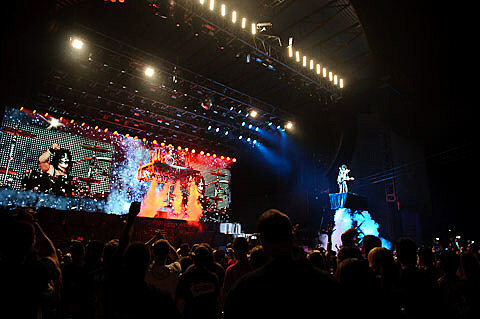 I will gladly fly in the private jet to the show and make no apologies for being loved worldwide. 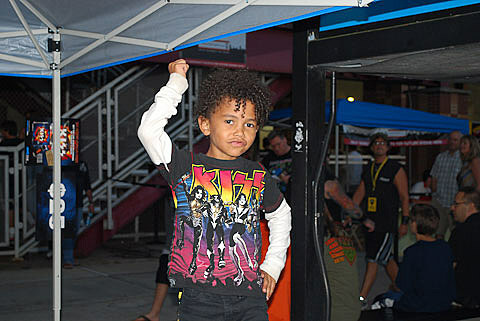 Hold on a second. 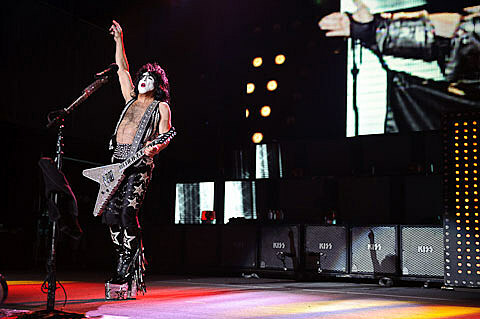 Listen to this from Rolling Stone: “KISS proved why they are the reigning kings of theater rock, delivering an electric two-hour, 21-song set of glam-rock smashes, newer tunes, over-the-top pyrotechnics.” Regardless of what the naysayers say, I didn’t have to sell out to get these kind of reviews.